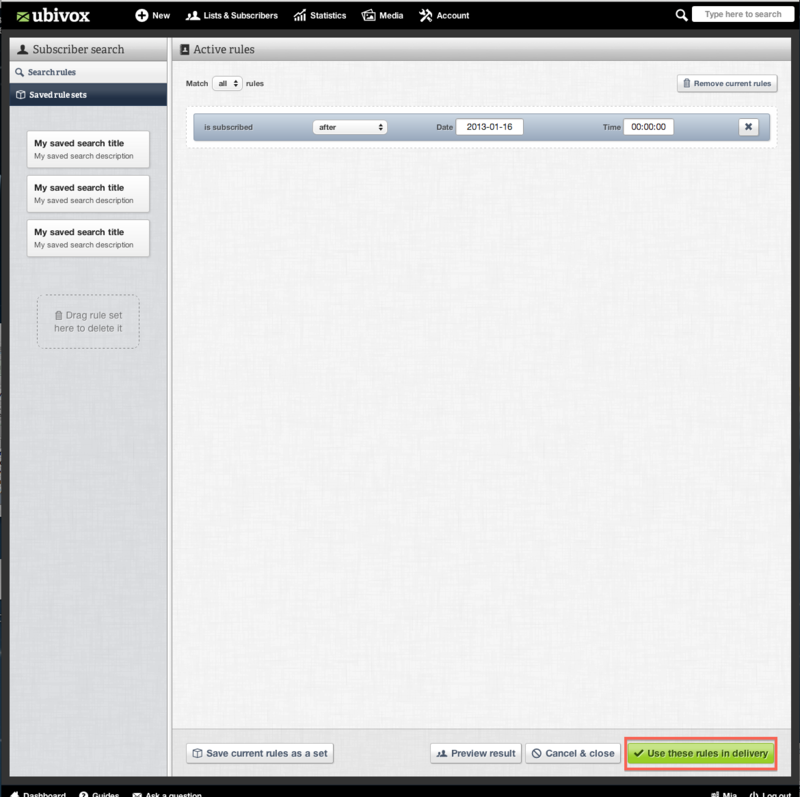 In Ubivox you have the opportunity to set up active segmentations rules. The rules can be used to find new subscribers after a given date and send out your latest newsletter. 2) This example is based on the Date subscribed. Drag and drop Date subscribed to Active rules. 3) The next step is to define your rules and fill out the data fields. 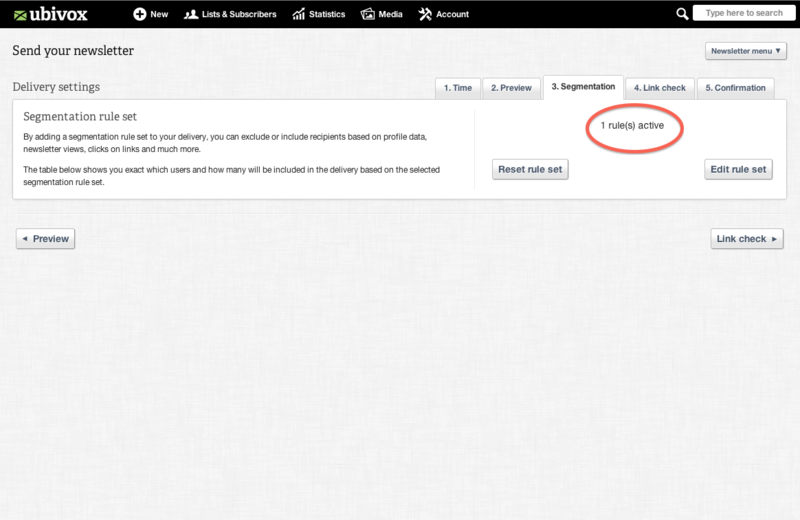 When you select Date subscribed you can do a segmentation after a given date, i.e. new and old subscribers can be apart. 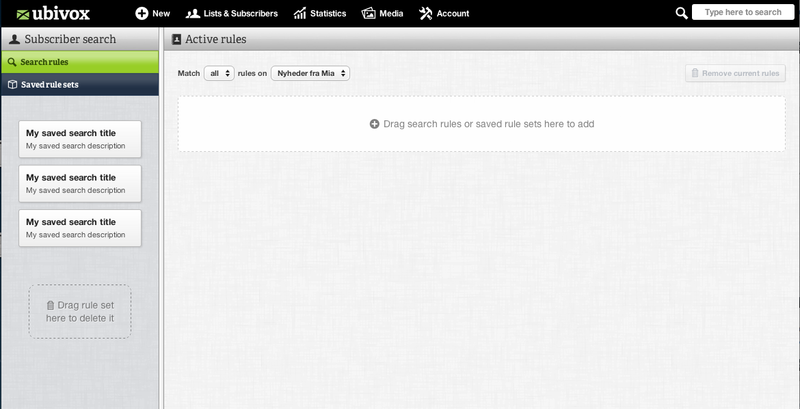 4) Finally enter Preview result and it will show subscribers that is matching your active rules. 5) If you want to use the rules and send a newsletter to the subscribers, please go to your newsletter selection Schedule & Send. 6) At Segmentation press Edit rule set. 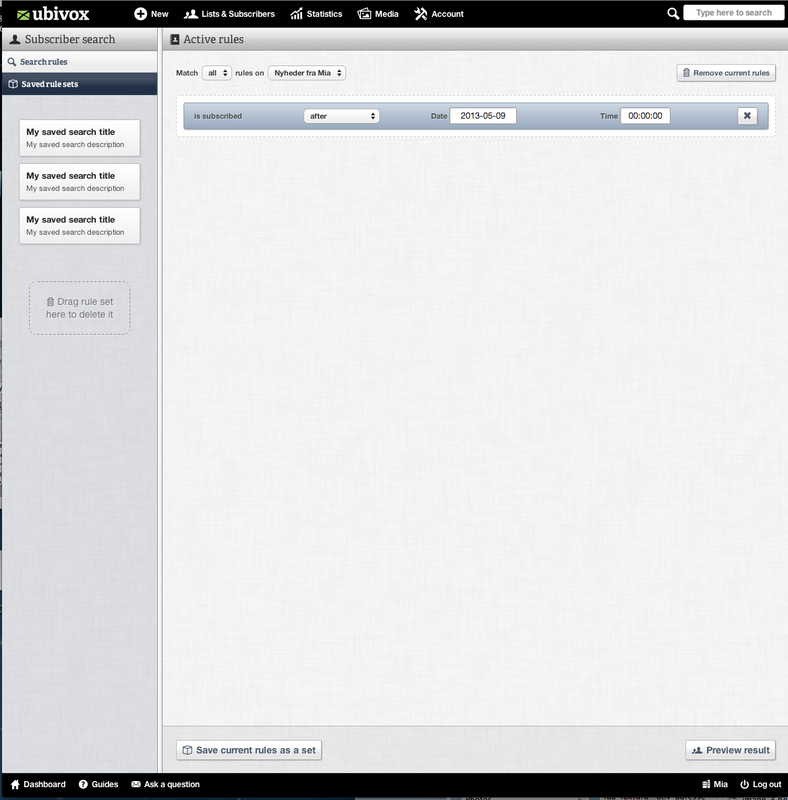 7) Next drag and drop the rule and do the segmentation. Confirm by pressing Use these rules in delivery. 8) It is now possible to see the active rule with your delivery. 9) Confirm your delivery. It is now ready. Share newsletters on Facebook, Twitter, etc. 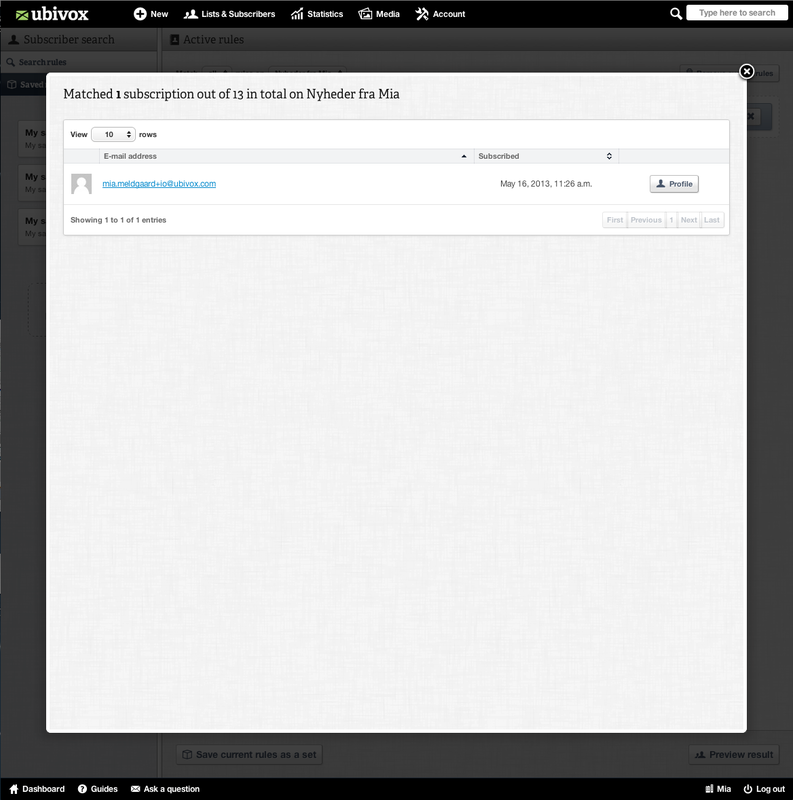 This guide elaborates how you set up the share function in your newsletters. The share function enables your subscribers to share your newsletter on social media platforms and through e-mail. 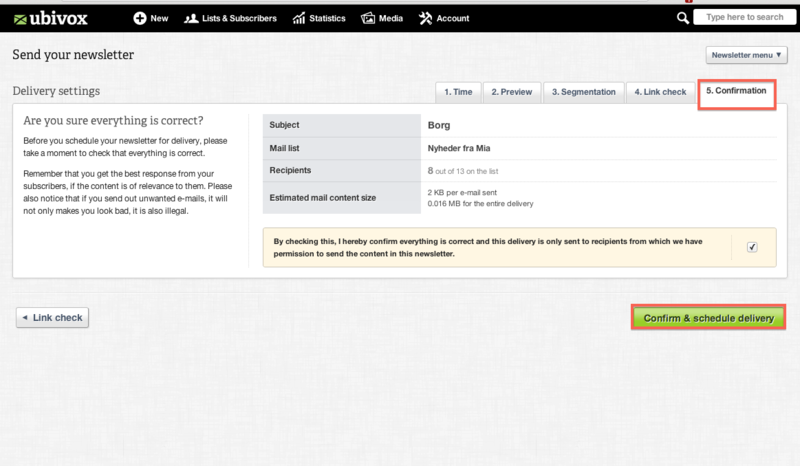 This guida elaborates how you create and insert your own unsubscription link into a newsletter. This guide elaborates and exemplifies how you create data fields in the system. This guide exemplifies and elaborates how to share your newsletters on the social media site Pinterest.